March 30, 1955. 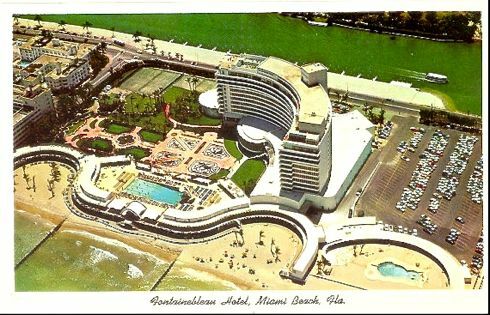 "Fontainebleau Hotel, Miami Beach. General view of lobby. Morris Lapidus, architect." Gottscho-Schleisner photo. View full size. Submitted by Atomicbird on Thu, 01/23/2014 - 12:23pm. I'm guessing this is the same place that Allan Sherman mentioned in his song "The Streets of Miami". "I'm going to the Fontainebleau / Pardner, it's mod'ner." Submitted by Mattie on Wed, 01/22/2014 - 10:36pm. 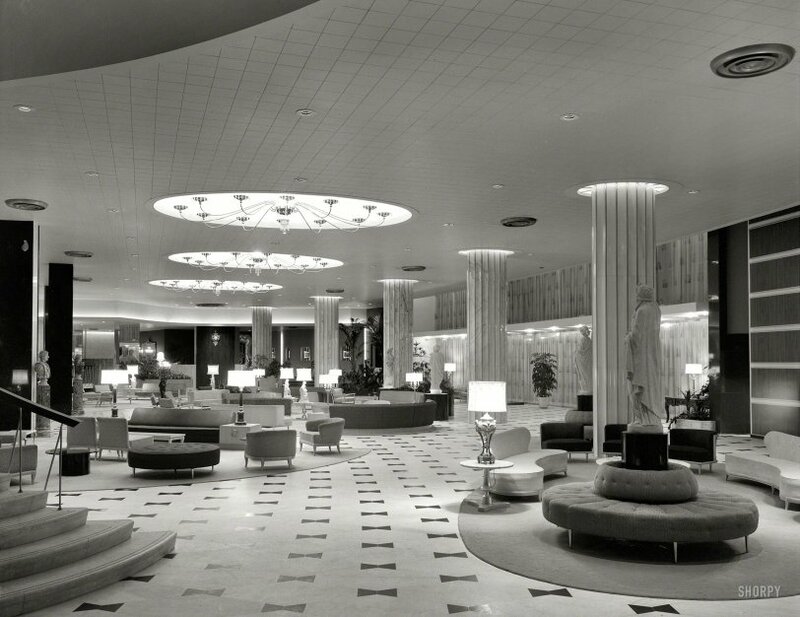 This lobby manages to be elegant and sophisticated yet tacky and cheesy. I like it and I don't. Submitted by ElViejo on Wed, 01/22/2014 - 3:33pm. No ashtrays. (Well, maybe one -- see if you can find it). Submitted by switzarch on Wed, 01/22/2014 - 2:06pm. Lapidus always tried to make ordinary visitors feel extraordinary. He wanted the guests to feel like a Cary Grant or a Grace Kelly while they were in this hotel. To transport them to someplace 'special' and well removed from their normal lives. Submitted by Michael R on Wed, 01/22/2014 - 1:14pm. "Too Much Is Never Enough," by Morris Lapidus (1996). This is a sly reference to the motto attributed to Ludwig Mies van der Rohe, "Less is more" (even though he never actually said that, in English or in German). Submitted by jd taylor on Wed, 01/22/2014 - 11:27am. All those Roman statues and busts make me want to drink tea with my pinky sticking straight out. Submitted by Mr Mel on Wed, 01/22/2014 - 11:27am. If you thinks the lobby was something, take a gander at the building itself. A midcentury postcard is attached.